Victoria Lucas’s film, Conflict, draws upon research initiated by objects and documents found in both the Redbridge Museum archive and the National Portrait Gallery’s Collection. Using fragments of fact as a point of departure, a conceptually driven and non-linear narrative engages the audience with the subject of war and commemoration. Actors in non-specific costumes re-enact an imagined past, encompassing the destructive and painful realities of war through a series of choreographed actions. Whilst the collective engagement in the Centenary began in 2014, a number of brutal wars continue to rage across the globe. This aspect of humanity was a highly considered notion in the making of the work, which engages with the First World War whilst simultaneously referencing subsequent and current conflicts. Whilst researching Sydney Snowdon’s 1916 account of the First World War in Redbridge Museum’s collection, a visual understanding of the wartime environment became a main focus. The quagmire of mud that surrounded, impeded and engulfed soldiers during the Battle of Somme and the Battle of Passchendaele became a central theme, and features heavily in each scene. The mud becomes a commemorative substance - a transient and ever shifting memorial that embodies the flesh and bones of the men who were never recovered from the battlefields. In the film, women claw through the mud in search of their lost loved ones, whilst two soldiers cover themselves in mud as they prepare for their fate. Women’s suffrage is signified by five women, who march in unison across a barren landscape wearing commemorative armbands displaying the Suffragette colours. 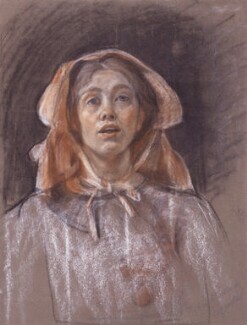 Research initiated by Silvia Pankhurst’s self-portrait in the National Portrait Gallery’s Collection highlights the impact the First World War had upon women’s rights politically, culturally and socially. For the duration they went to work, gained their freedom, and after the war they won the vote. They were also faced with bereavement and grief on an unprecedented scale, and the film incorporates this conflict of emotions. The film imagines the absence of a body belonging to a father, son, husband or brother. It examines how it must feel to not know what happened or where they are. The loss that women suffered during the First World War is echoed daily on our television screens, as we watch current conflicts unfold. 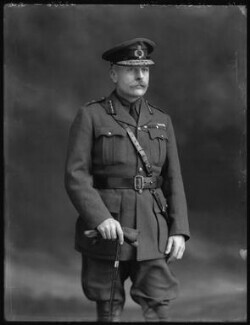 A portrait of Sir General Douglas Haig by John St Helier Lander at the National Portrait Gallery, also inspired conceptual motivations, leading to a scene in which the trivial act of squashing grapes becomes symbolic of some of the political decisions made during war, and the impact it has on those at the front. The innocence of the child in the film, who positions the grapes in an ‘x’ shape to represent German crossfire, reflects the detachment that leaders often have with the realities of their inhumane decisions. A photograph at the Redbridge Museum of two brothers - Dennis Alfred and Reginald Charles O’Donoghue - led research to the Tyne Cot Memorial for Soldiers with no known graves. Both brothers were lost in the battle of Passchendaele on the same day, and the film explores what could have taken place during their last moments. Walking away from conflict towards death, the soldiers take it in turns to carry and support one another. These represent the moments of bravery, camaraderie, love, respect and honour that can accompany the often horrific and complex experiences of war. Taken when they were home on leave, December. Autographic Vest Pocket Kodak Camera, about 1918. This very popular pocket camera was marketed as ' the soldier's camera' .